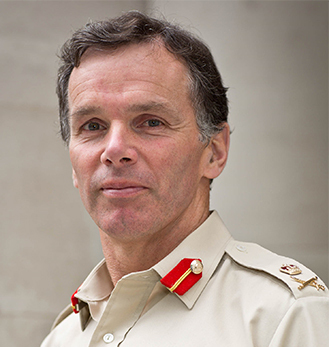 Lieutenant General Sir Andrew Gregory has stepped down as Chairman of the Board of Trustees at ABF The Soldiers’ Charity to focus on his new role as Controller of SSAFA, one of The Soldiers’ Charity’s key delivery partners. “The Board of Trustees and the Executive Team are of course disappointed that Andrew has found it necessary to step away from his current role as Chairman of our Charity, but it is of course the right decision. When he was appointed, as with any other Trustee, we were always conscious that good people who are highly regarded and expert in their fields will always face competing priorities for their time and commitment. In this case it has worked to our temporary disadvantage – but much better that than having a Board with people who have nothing better to do! “It has always been my intention, on finishing my military career in April 2016, to seek full time employment and I am delighted to have been appointed as Controller SSAFA in succession to David Murray, a position I will assume in September 2016. Regrettably, being Controller SSAFA is incompatible with me being Chairman of Trustees of ABF The Soldiers’ Charity and I therefore have decided, reluctantly, to step down from this role immediately.